All works are carried out under my personal supervision and in collaboration with my family members. We are firmly committed to maintaining the centuries-old tradition of wooden carvings from Val Gardena – Italy. 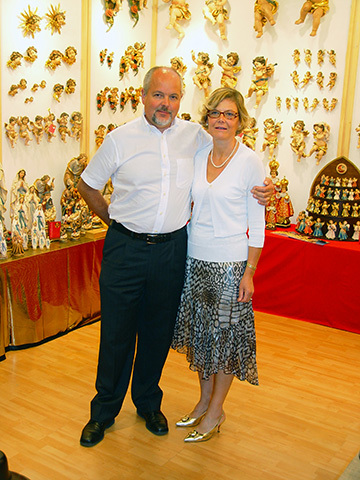 Bergland Woodcarvings only sells figures made in house using our own designs. These are the reasons for which we can guarantee, with my name, that our carvings are original, authentic and 100% Made in Italy. Thank you for your interest in our products.